Students of single crystal X-​ray diffraction are often give advice as to how best to collect their data when attempting absolute configuration determination. These ‘rules’ often have more grounding in gut-​feeling than evidence. 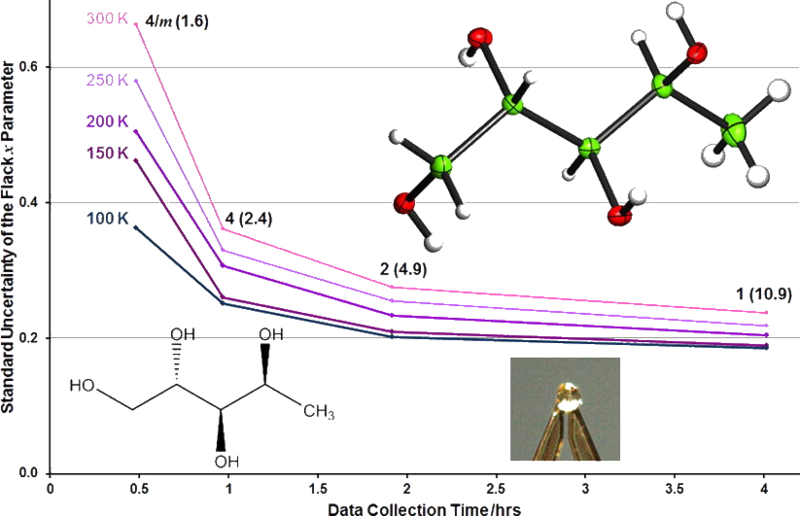 Thus, in an effort to provide advice and evidence that today’s crystallographers can pass onto to tomorrow’s young scientists, we present a systematic study of 1-​deoxy-​L-​arabinitol, a straight chain sugar which crystallizes well in the space group I41. A study of post-refinement absolute structure determination using previously published data was carried out using the CRYSTALS software package. We show that absolute structure determination may be carried out optimally using the analyses available in CRYSTALS, and that it is not necessary to have the separate procedures absolute structure determination and no inter­est in absolute structure as proposed by Flack [Chimia (2014), 68, 26–30]. Leverages measure the influence that observations (intensity data and restraints) have on the fit obtained in crystal structure refinement. Further analysis enables the influence that observations have on specific parameters to be measured. The results of leverage analyses are discussed in the context of the amino acid alanine and an incomplete high-pressure data set of the complex bis(salicylaldoximato)copper(II). Leverage analysis can reveal situations where weak data are influential and allows an assessment of the influence of restraints. Analysis of the high-pressure refinement of the copper complex shows that the influence of the highest-leverage intensity observations increases when completeness is reduced, but low leverages stay low. The influence of restraints, notably those applying the Hirshfeld rigid-bond criterion, also increases dramatically. In alanine the precision of the Flack parameter is determined by medium-resolution data with moderate intensities. The results of a leverage analysis can be incorporated into a weighting scheme designed to optimize the precision of a selected parameter. 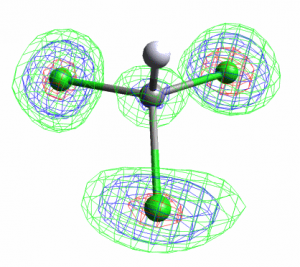 This was applied to absolute structure refinement of light-atom crystal structures. The standard uncertainty of the Flack parameter could be reduced to around 0.1 even for a hydrocarbon. A summary of the features for investigating absolute structure available in the crystallographic refinement program CRYSTALS is presented, together with the results of analyses of 150 light-atom structures collected with molybdenum radiation carried out with these tools. The results confirm that the Flack and Hooft parameters are strongly indicative, even when the standard uncertainties are large compared to the thresholds recommended by Flack & Bernardinelli [J. Appl. Cryst. (2000), 33, 1143–1148]. Mustapha is a Senior Research Associate in the group and is a highly experienced and efficient programmer. His specialism is C++ and he is responsible for the Small Molecule ToolKit, SMTK. The practical use of the average and difference intensities of Friedel opposites at different stages of structure analysis has been investigated. It is shown how these values may be properly and practically used at the stage of space-group determination. 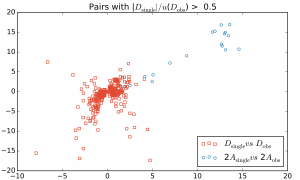 At the stage of least-squares refinement, it is shown that increasing the weight of the difference intensities does not improve their fit to the model. The correct form of the coefficients for a difference electron-density calculation is given. In the process of structure validation, it is further shown that plots of the observed and model difference intensities provide an objective method to evaluate the fit of the data to the model and to reveal insufficiencies in the intensity measurements. 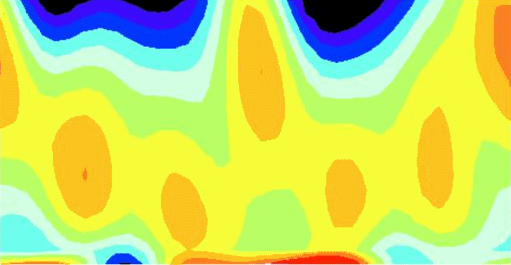 As a further tool for the validation of structure determinations, the use of the Patterson functions of the average and difference intensities has been investigated and their clear advantage demonstrated.